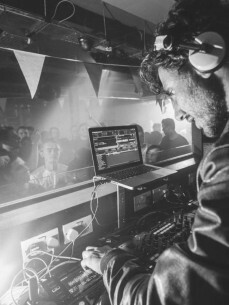 Alexis then knuckled down in the studio and got his first release, Spaceship, signed in 2011 to Jamie Jones and Lee Foss’ Hot Waves imprint bringing him into the international spotlight. Since then, he’s had numerous releases and remixes on labels including Jackathon Jams, Culprit, Leftroom, Get Physical, Nervous, not forgetting his anthem, 'I know', on Hot Creations, with almost 1 million Youtube views. Nominated by DJ Mag for best break-through DJ in 2012 and gaining a residency at Manchester’s Warehouse Project that same year, really cemented Alexis’ place in UK underground music.